DroidSheep uses ARPSpoofing techniques for normal networks while DNSSpoofing is use for WPA & WPA2 encrypted networks. What are the requirements to run DroidSheep on Android phones? Your phone Must Be ROOTED in order to use this application. How to install DroidSheep ? 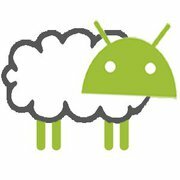 DroidSheep is removed from Android Market so you have to follow the tutorial in order to get it install on your Android phone. Launch DroidSheep Application. It should popup for Super privileges, allow it. I heard from the community in emails that Andreas Koch removed the application from his server due to the German Law and this tool was identified as Hacking-tool. I have hosted this application on my server and it can be download under GPL as Andreas Koch written in license log. And yes, I do not be held responsible for any damage or misuse of this tool. This is shared with intention for the Research and Students encouragement in Information Security field. If you have any objection or complain, please report me. Thank you all for appreciations in emails. Since i host this application on my server, thousands of concurrent downloads of droidsheep-current.apk are processed and it is increasing now. I appreciate if you consider Retweet this post or share it on facebook 🙂 This will help us to broaden our community. Droidsheep-current.apk is removed from our server because of many complains received by our hosting service provider. But you can still request us via request form, we can send you on email. Since we believe this is educational purpose app and expect everyone to comply with that. You can report that to original Author. This is great and all, but where can I find libpcap, and where/how do I install it onto my phone exactly? Do you know where one may be able to find arpsoof? Seems like it was removed from the market. It isn’t 🙂 false alert. I found arpspoof but cant find libpcap? does anyone know where to find it? Has anyone found the libpcap apk? This is a educational purpose blog, all HowTos provided here is for educational purposes only. The author doesn't take responsibility for any damage.